U.S. President Donald Trump announces his decision to withdraw the United States from the 2015 Iran nuclear deal in the Diplomatic Room at the White House May 8, 2018, in Washington, DC. 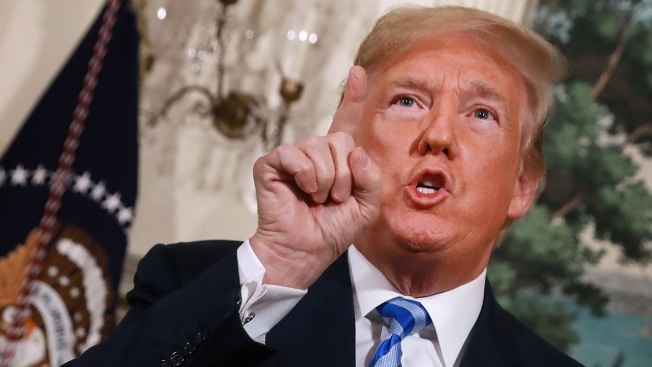 After two and a half years of negotiations, Iran agreed in 2015 to end its nuclear program in exchange for Western countries, including the United States, lifting decades of economic sanctions. Since then international inspectors have not found any violations of the terms by Iran.